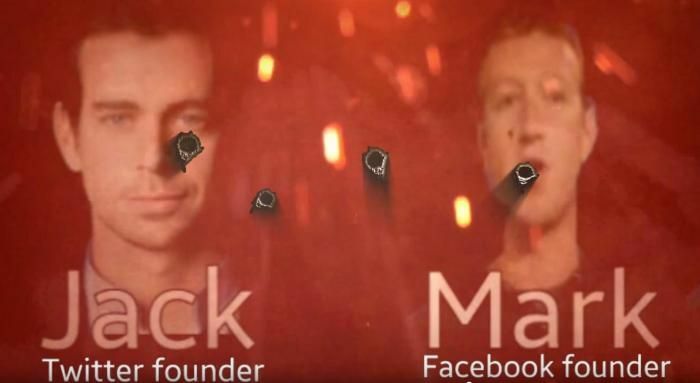 The Islamic State released a chilling video online featuring the faces of Facebook CEO Mark Zuckerberg and Twitter CEO Jack Dorsey riddled with mock bullet holes. The two social media platforms have strengthened their drive to wipe off the social media presence of the terror outfit - something IS uses extensively for both recruitment and communication. "Representatives from both companies were among those who met senior White House officials in January to discuss how to deal with terrorism online," The Guardian reported. Reacting to the efforts, a group of IS hackers - who call themselves "the sons of the Caliphate army" - released a video on 24 February claiming they would hack Twitter and Facebook accounts by changing pictures and posting Islamic State-related propaganda on the same. The outfit claims that they own over 10,000 Facebook accounts, 150 Facebook groups, and 5,000 Twitter accounts. 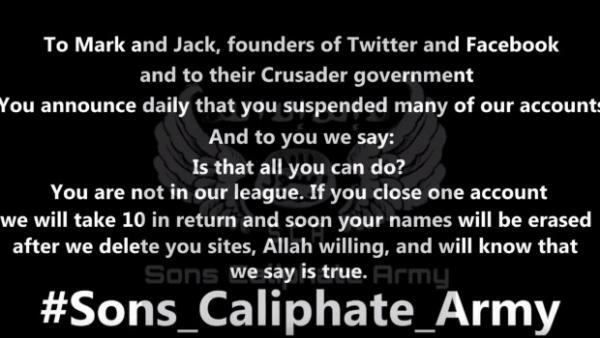 The group also issued the warning: "If you close one account we will take 10 in return and soon your names will be erased after we delete you [sic] sites, Allah willing, and will know that we say is true." Earlier this month, Twitter reported having suspended 1,25,000 accounts related to the Islamic State for "for threatening or promoting terrorist acts." Facebook said it controls who uses the social network and works toward ensuring that terrorists do not use the site. It also removes content that is even slightly related to terrorism.